We are living in an information era, where the Internet is highly available. At first blush, it is easier to play music online rather than to save it for offline listening. But there are times when you want to listen to your favorite music and you can’t access the Internet. Therefore, if you are a true music lover, you need always update your playlists and have a huge collection of tracks on your computer or device. 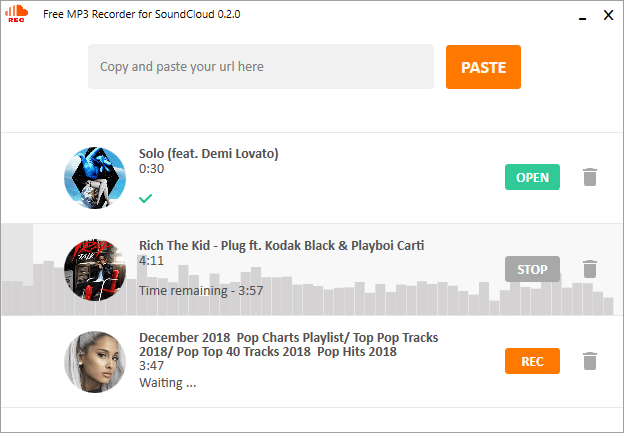 In the Internet you can find a ton of websites, desktop apps, browser extensions and other services that promise to download songs from the most popular sharing websites such as YouTube, SoundCloud, Vimeo, etc. However, is it legal to use them? The stream-ripping is now cited as a violation of websites’ Terms of service and as one of the music industry’s most despised enemies. The world’s largest record labels attempted to shut down several websites that offer downloading services. So, due to the fact that there are plenty of opposing views, the legality issue is not brought to a close, and the discussion continues. Well today we are going to show you a new technique that allows capturing your favorite tunes for free without getting sued. “The Stream-Recording Technique” lies in audio capturing from a local machine’s sound card and doesn’t deal with any content streamed through a network. The most important thing to understand is that if you are using “The Stream-Recording Technique”, you don’t download any streaming content directly, but just play and record music from the web. Thereby, you aren’t at risk of violation. As a nice bonus, “The Stream-Recording Technique” allows you to enjoy listening to your favorite tunes and to save them to your pc at the same time. The practical implementation of “The Stream-Recording Technique” was reflected in NotMP3‘s free audio recording software – Free MP3 Recorder for YouTube and Free MP3 Recorder for SoundCloud. 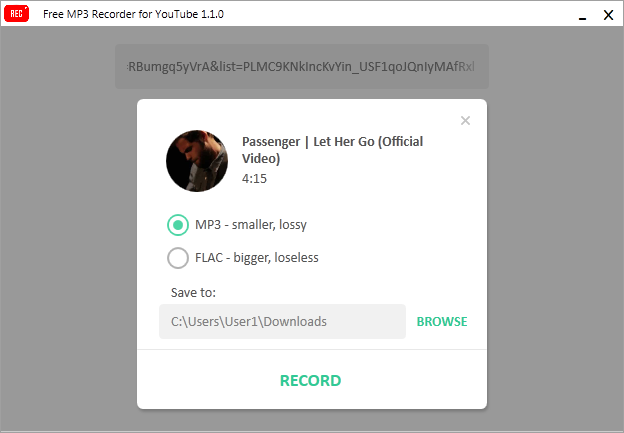 These MP3 recorders are a simple solution to extract quality audio from YouTube and SoundCloud. You can use them to get your favorite tracks in the best quality for free and to create your own music collection for offline listening. Step 1. 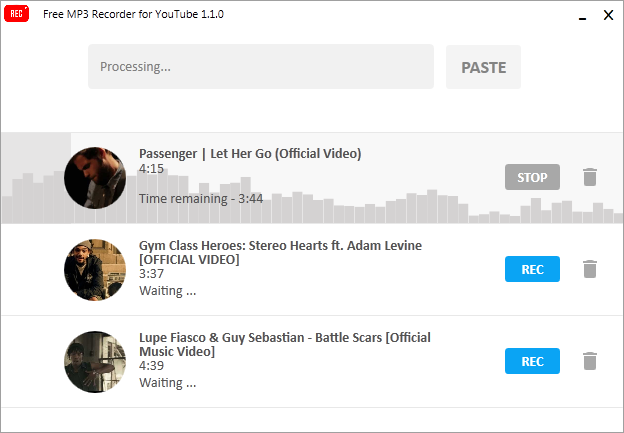 Download and run Free MP3 Recorder for YouTube. Step 2. Copy a YouTube link and paste it into the input field. Note: Free MP3 Recorder for YouTube does not have a limit on how many songs you can save during one session, but it is possible to queue up to 3 links. Step 4. Click the ‘Record’ button. It’s time to enjoy listening to your selected tracks. Important Note: The program automatically disables all computer sounds while the audio is being recorded and turns them back on as soon as the recording process is finished. Do you want to save your preferred soundtracks of your beloved band or musician from SoundCloud? Just so you know, it’s not a problem. Step 1. 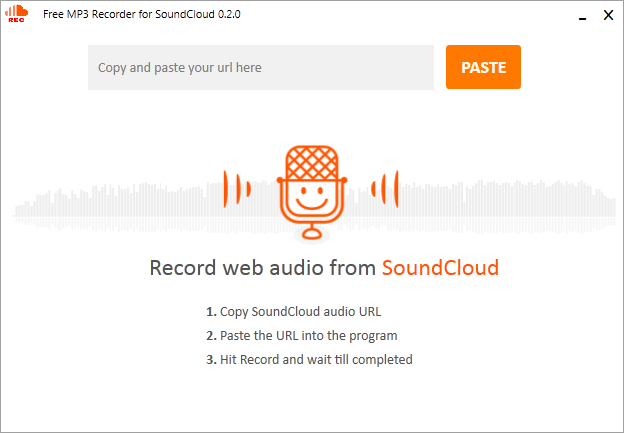 Download and run Free MP3 Recorder for SoundCloud. Step 2. Copy a SoundCloud link and paste it into the input field of the program. Note: It is possible to save any number of SoundCloud music files to your pc during one session by adding up to 3 links to the queue. Step 4. Click the ‘Record’ button and enjoy listening to your favorite SoundCloud songs. 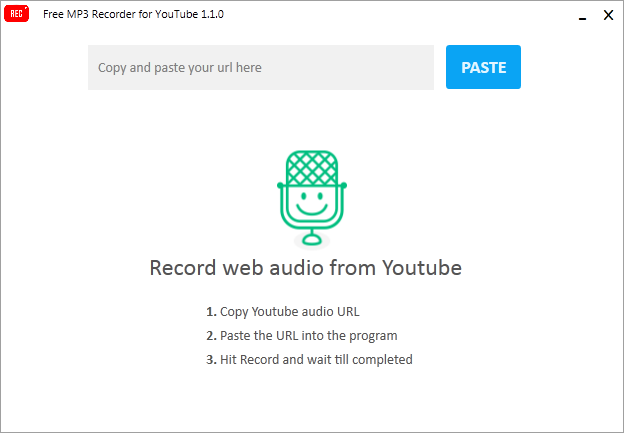 From now on, you know that there is a legal alternative to the stream-ripping software – the stream-recording software based on the Stream-Recording Technique. We hope you can see the potential of this new technique as soon as you try it out. If you prefer to record audio from any other sharing site, please add your comment below. We welcome your opinions, questions, suggestions or thoughts you may have regarding the Stream-Recording Technique.